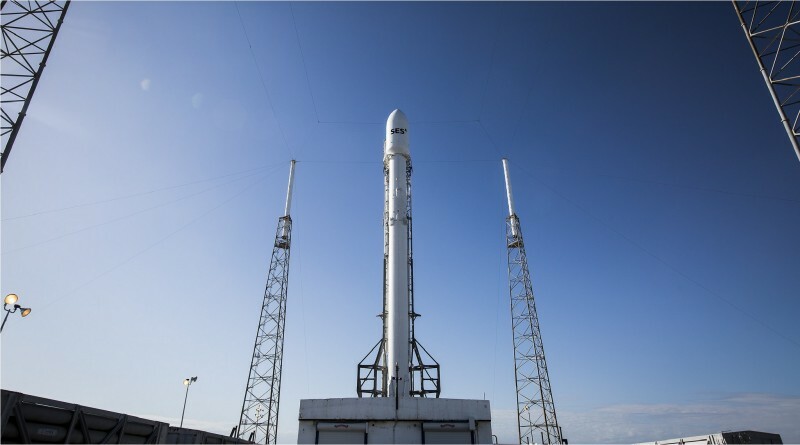 SpaceX is gearing up for the launch of the SES-9 communications satellite atop the company’s Falcon 9 rocket on Wednesday. Falcon 9, flying for the second time in its Full Thrust version, went through its Static Fire Test on Monday and has been cleared for liftoff at 23:46 UTC, the opening of a one-and-a-half-hour window. The flight will again feature an attempt to return the first stage booster to the Autonomous Spaceport Drone Ship, though hopes of a successful recovery are not high given the mission’s high-energy launch profile. 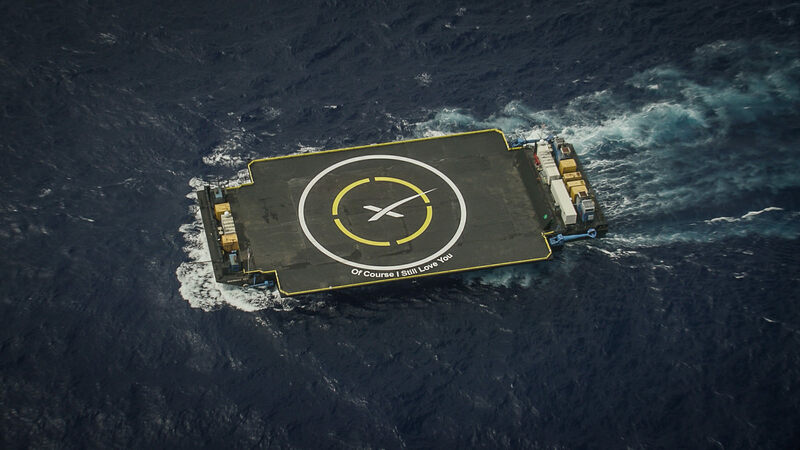 This flight follows up on SpaceX’s successful return to flight mission in December that also debuted the Full Thrust variant of the Falcon 9 and achieved the first successful booster return to land, marking a new milestone in the company’s re-usability ambitions. 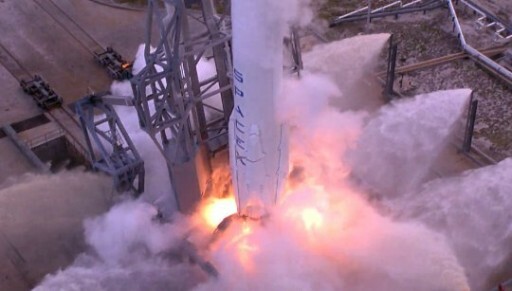 In January, SpaceX flew the final Falcon 9 v1.1 rocket, lifting the Jason-3 Oceanography satellite. SES-9 was originally first on the firing line, set to launch on the first Falcon 9 FT rocket in December, but was switched with the Orbcomm G2 mission as a risk reduction measure because the Low Earth Orbit Mission for the Orbcomm satellites offered the opportunity of a re-ignition test of the modified MVac second stage engine – a requirement for the delivery of SES-9. 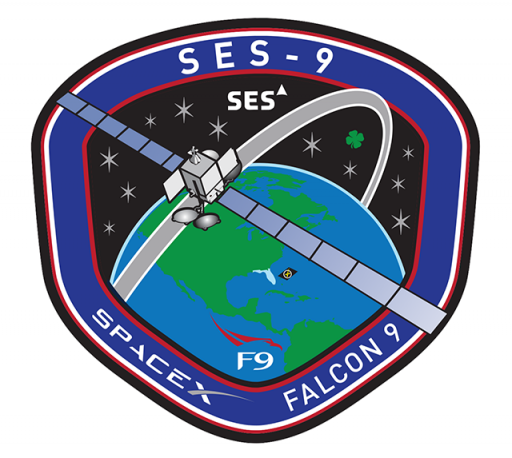 Originally, SES-9 was expected to fly towards the end of January, but the mission slipped to the first week of February and then to the 24th due to unspecified issues with the Falcon 9 launcher. 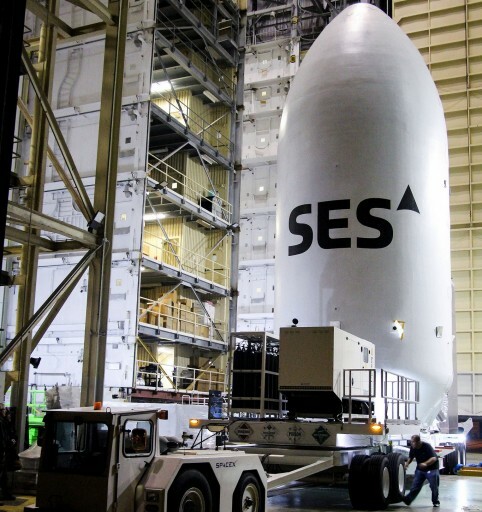 SES-9 has a launch mass of 5,300 Kilograms and hosts an all-Ku payload comprised of 57 transponders to deliver Direct-to-Home television services, extensive mobile backhaul reaching remote locations, VSAT services, and mobile communications services with seamless coverage across frequented aeronautical and maritime traffic routes across the Indian Ocean and Asia-Pacific Region. The Boeing-built SES-9 spacecraft hosts chemical and electrical propulsion systems. To quickly raise its orbit, SES-9 will first employ the conventional chemical propulsion system before the electric system is used for circularizing the orbit 36,000 Kilometers over the equator. The electric propulsion system will enable the satellite to support an extended in-service life, keeping its position at 108.2°E in Geostationary Orbit. The Falcon 9 rocket with SES-9 hidden under its payload fairing was wheeled to the launch pad at Space Launch Complex 40 on Monday for the prescribed Static Fire Test that has been a part of every SpaceX launch campaign to date. Once in its vertical position, the 70-meter tall rocket went through a five-hour preparation process with propellant loading taking place on the tail end of the countdown rehearsal. The Static Fire puts the Falcon 9 rocket, all ground systems and the Launch Team through a full demonstration of propellant loading, the terminal countdown sequence and the ignition of the nine Merlin 1D engines mounted on the first stage. The brief ignition, occurring just before 23 UTC, collected performance data on all engines, confirming that all reached operational thrust levels and were ready to support the mission. Data gathered during the test was reviewed on Tuesday and Falcon 9 was awarded a clean bill of health for liftoff on Wednesday. The day’s launch window opens at 23:46:14 UTC and extends through 1:23 UTC. 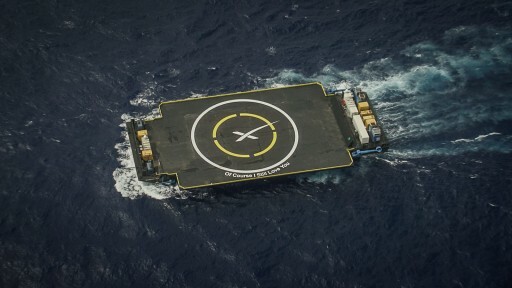 Leading up to launch day, the Autonomous Spaceport Drone Ship “Of Course I Still Love You” departed the port of Jacksonville and, with its support vessel, traveled to its downrange spot where it awaits the arrival of the Falcon 9 booster in SpaceX’s continued efforts to master a landing at sea. So far, the company came close on several attempts including the previous Falcon 9 mission from Vandenberg that saw the booster make an on-target landing on the Drone Ship but tip over when one of the four landing legs failed to lock in place, likely caused by a build-up of ice in the mechanism. Because the SES-9 mission involves a high-energy orbital delivery to Geostationary Transfer Orbit, the first stage booster will have to endure a more extreme re-entry and, given the limited propellant reserve at separation, will not be able to conduct a significant boost back. Instead, the booster will slow down prior to entry and aim for the Drone Ship stationed 660 Kilometers from the launch site. The second stage of the Falcon 9 will be tasked with two main engine burns in a supersynchronous delivery. For its second burn, the MVac engine will fire until a minimum propellant residual level is reached instead of shutting the engine down based on a programmed guidance solution, squeezing a few more seconds of burn time out of the second stage to accomplish a high-energy satellite delivery. SES-9 aims for a supersynchronous orbit with an apogee over 39,000 Kilometers in order to cut its transfer time to Geostationary Orbit from three months to just one and a half months – keeping its original in-service schedule. Meteorologists are predicting a 60% chance of favorable conditions for Wednesday’s launch window. Primary concerns are violations of the cumulus and thick cloud rules as well as high ground winds. Weather is being influenced by a cold front moving across the Space Coast, bringing the potential of thunderstorms in the afternoon that will move out ahead of the opening of the window, though clouds may linger into the first half of the window. Clouds are expected to clear by the end of the window while winds will remain persistent. For the backup launch slot on Thursday, weather is expected to be more favorable with an 80% chance of acceptable conditions, winds again being the primary concern. Standing 70 meters tall atop its launch pad at Space Launch Complex 40, a former Titan launch site, the Falcon 9 rocket is powered up several hours ahead of the expected T-0 time to head into its lengthy countdown. After detailed checkouts of the rocket and all ground systems, teams will make the final hands-on work to put all facilities at the pad in the appropriate configuration for launch. With around four hours to liftoff, Air Force Range Controllers will take up station at the Morrell Operations Center to begin monitoring the clearance of the launch corridor. Once fully checked out, Falcon 9 begins its tanking sequence that – owed to the use of densified propellants – is much more complex than that for previous launchers. The tanks of the two-stage rocket will be chilled down before propellants start flowing, beginning with Kerosene loading that is followed by the initiation of LOX flow into both stages. 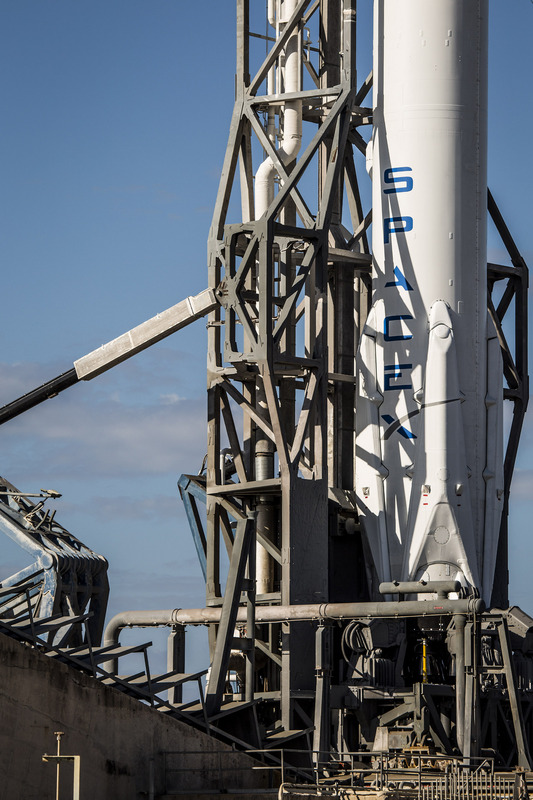 Due to the use of sub-cooled propellants, SpaceX has to ensure that the tanks remain in a predictable condition, replacing propellant as it warms up in order to keep the stage at flight mass and the propellant within the tank in a uniform thermal configuration. To make sure propellants inside the tanks remain at liftoff mass, SpaceX implements a new rapid propellant loading sequence, filling the Falcon 9 with over 500 metric tons of LOX and RP-1 in less than half an hour – no small feat as shown by the issues encountered in the run-up to the first Falcon 9 FT launch that required teams to implement a number of modification to perfect the LOX loading operation. 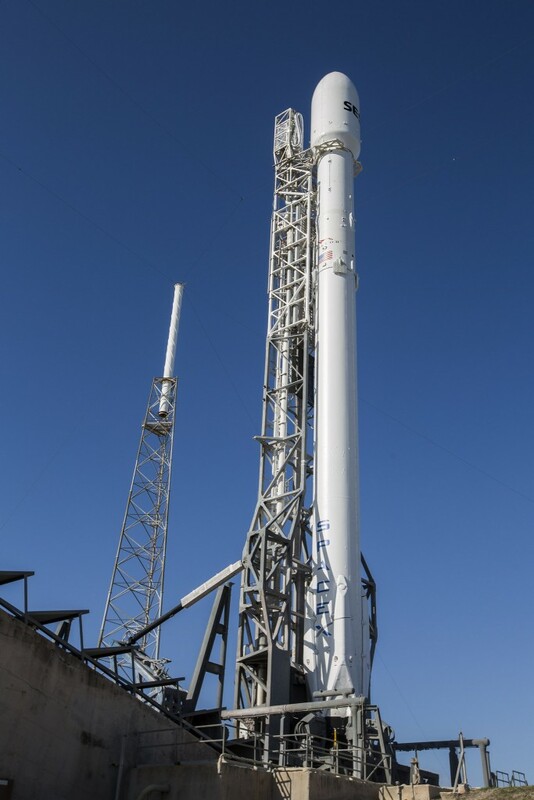 The SpaceX Launch Team will go through the poll for a GO/No GO for propellant loading at T-34 minutes followed by the initiation of propellant flow between 32 and 30 minutes prior to the planned T-0 time. Given the desire to launch as soon as propellants are at flight level, any weather concerns will likely be addressed prior to fueling and teams will hold off in case weather is not expected to be clear at T-0 and elect to wait until weather improves before tanking the rocket. In the last hour of the countdown, Falcon 9 receives its updated flight software including the parameters for its landing attempt. 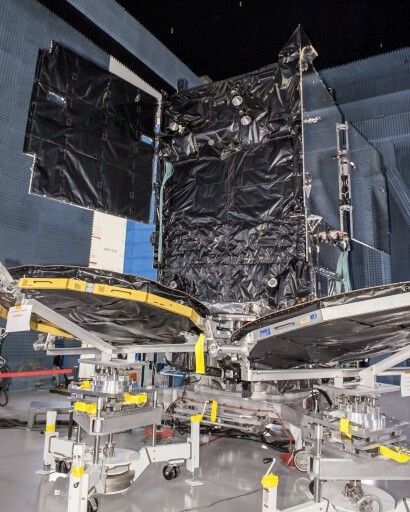 The SES-9 satellite will be verified to be on internal power and in flight mode before Falcon 9 heads into the Automated Countdown Sequence following the completion of polling of the launch team. The last ten minutes of the countdown are handled by computers, putting the launch vehicle and ground systems through thousands of steps to transition the Falcon 9 to its autonomous launch configuration. At T-9 minutes, the Merlin 1D engines on the first stage will begin their chilldown sequence by opening LOX main and bleed valves; at T-6 minutes, Falcon 9 switches to battery power and begins the pressurization of its tanks. The two Strongback cradles will open and the large support structure will retract to its launch position four and a half minutes before blastoff. A final Status Check occurs at T-2.5 minutes and Falcon’s flight computers switch to auto alignment. Commodity loading ends at T-90 seconds followed by the start-up of the flight computer at T-1 minute. Rising from its pad under the loud thunder of its nine engines, Falcon 9 will climb vertically for around 20 seconds, clearing the tower. Starting its pitch and roll maneuver, Falcon 9 will begin heading to the south-east, departing the Space Coast and lighting up the evening skies. Heading uphill, Falcon 9 will break the sound barrier about 65 seconds into the flight and encounter Maximum Dynamic Pressure around 80 seconds after liftoff. Passing the T+2 minute mark, Falcon 9 will enter its throttle segment, beginning a gradual reduction of thrust on the first stage to limit stress on the vehicle as it gets lighter and lighter, approaching Main Engine Cutoff. MECO is expected two minutes and 36 seconds into the mission, leaving the first stage with a sufficient reserve in propellant for its adventurous return to Earth. Four seconds after engine shutdown, the pneumatic stage separation system will be initiated to cut the connection between the two stages and push the first stage away to clear the way for the ignition of the MVac engine on the second stage. Coming to life at T+2:47, the upgraded Merlin 1D engine of the second stage will soar to a thrust of 95 metric-ton-force to fire for six minutes and 14 seconds to push the stack into a Parking Orbit. Approaching the end of its burn, the second stage will enable Terminal Guidance Mode to ensure an on-target insertion followed by the deactivation of the Flight Termination System which will no longer be required with the stage at orbital velocity. As the second stage arrives in orbit, about 200 Kilometers below, in the Atlantic Ocean, the Autonomous Spaceport Drone Ship will be ready to catch a Falcon 9 Booster. Hopes of achieving a successful landing are rather slim however, due to the energy involved in this mission and the limited propellant reserve on the first stage. Giving the second stage as much energy at separation as possible will enable the satellite to be delivered closer to its operational orbit, but it will lessen the chances for the first stage to make it through its return sequence intact. Separating at a high speed well over Mach 5, the first stage will complete an initial maneuver immediately after separation, maneuvering out of the second stage plume and flipping 180 degrees to point the main engines to the direction of travel. A short ‘boost-back’ burn will be performed with a subset of the Merlin 1D engines to limit the downrange travel distance of the booster, aiming for the Drone Ship stationed 660 Kilometers from the launch pad. Next, the booster deploys its four aerodynamic grid fins for atmospheric descent that is preceded by a short burn around 70 Kilometers in altitude to use the engine plume to shield the aft section of the rocket from excessive aerodynamic forces. With the four grid fins deployed, Falcon 9 is set for a little over a minute of atmospheric descent during which the fins provide roll, pitch and yaw control. The fins will be used to correct the final cross-track errors as the first stage starts homing in on the exact coordinates of the Drone Ship. If still in an operational condition after a high-energy re-entry, the first stage will re-start its center engine and deploy its landing legs that will assist in providing aerodynamic stabilization to keep the stage in an upright position. Making a hoverslam landing that leaves no room for error, the booster will hopefully come to rest in an upright position to achieve SpaceX’s first successful landing at sea. 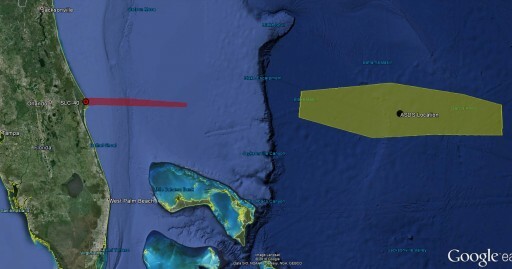 Should the landing succeed, teams will conduct a remote survey of the booster and safe its propellant systems before engineers can return to the ASDS and secure the first stage for its return to shore. After the first stage arrives back on Earth, the focus will very quickly shift back to the second stage, carrying out the primary mission of lifting SES-9 into Geostationary Transfer Orbit. Falcon 9 will be tasked with a supersynchronous delivery, inserting SES-9 into an orbit with an apogee above Geostationary Altitude. The MVac engine is expected to re-start 27 minutes and 7 seconds after liftoff for a burn of 48 seconds to sufficiently raise the apogee of the orbit. An important change was made to the Guidance and Control Logic of the second stage for this mission, programming the stage to shut down at a minimum residual level of propellants in its tanks instead of making a programmed shutdown when reaching the target orbit / velocity. This way, SES-9 is likely to end up in a higher orbit than with a more conservatively programmed shutdown. The mission aims for an orbit of around 290 by 39,300 Kilometers, inclined 28 degrees – though the apogee altitude will depend on the performance of Falcon 9 and howeverlong the propellant reserves of the second stage will permit the burn to be. SES-9 is set for separation from the launch vehicle 31 and a half minutes after launch to mark the completion of the second flight of the Falcon 9 FT.